Look for the light at the end of the tunnel. That’s what people say. Be happy with what you have, another great saying. I’ve always liked Live for today cause who knows what tomorrow will bring. My daughter is sick. She is fighting for her life. I realize there are kids everywhere fighting the same fight. But right now it’s12:33 a.m. My wife is upstairs crying because she read some more stories about children with DIPG. Even the positive stories are “complicated” Right now I’m sitting here with a drink. Knowing very well it’s not the answer. But what is? Tonight my sister and brother visited. They brought all the cousins, two little boys and two little girls. They all ran around playing, screaming, singing to the radio. Gabby was in bed at6:30. Didn’t want to look at any other them, play with them. I turned on a show tonight and saw Katy Perry singing a song Gabby used to dance along with and sing in the car. Gabby no longer even wants the radio on. Where is the light at the end of that tunnel? Treatment ends soon, and then we wait to see if it worked at all. They told us in radiation not to be alarmed if it doesn’t look like it worked, they said inflammation of the brain makes the first scan look bad. How do you be happy with that? I feel selfish; I’ve met a lot of great people going through this. They seem stronger, more confident, they have more faith. I seem only to cry and ask why her? And the anger I feel can’t be measured. How can this be happening? I write this blog to update Gabby’s supporters, to get my thoughts out, when all I want is to never have had to write anything. All I want is that five year old girl in the back seat to sing Katy Perry while I yell at her to stop kicking the seat. Gabby had a Biopsy and hasn’t been the same since. Over the last weeks we have hoped that the treatment was working, now we wonder is it just the fact that she is healing from the biopsy. We are going to try to have a vacation from it all in august. But where is the light there? It seems all we are doing is running away, hiding from coming back and having to do that scan, hiding from the fact that a new “Plan” will be put in place. Hiding from the fact that we will have to tell Gabby the yuckies are still there and now we start with something new. Katie says a prayer for Gabby every night I sit there while she does. My fear is what happens if? How will I explain to Katie if something happens to Gabby and she said that prayer every night? How am I going to explain it didn’t work? How will I explain that for the past two months I have said she is going to get better? Everything will get better. Katie will know I lied; she won’t forgive me,Madisonas well. For the rest of their life’s if Gabbys doesn’t win this battle they will know I lied to them the whole time. How can they possibly hear one of those sayings and believe in them? I am so grateful for all her supporters, all the people praying for her, all the people who give their time to help her and us, to get the word out, to make sure everyone knows who Gabby is. People constantly say what a fighter she is, how strong she is. But what choice does she have. We don’t ask her, we just tell her this is what you have to do. Take the medicine, let’s go to the hospital. She has no choice. There is no real way to explain to this 5 year old what is going on and why. I sat in the yard tonight wondering if she is in pain. When we do therapy with her she howls. Is it pain, frustration? The only thing I know for sure is that it’s horrible. All day we put on a tough face, a strong face, we force smiles. Act like everything will be fine for my other two girls and each other. Much like Gabby and her treatment we believe because what is the alternative? Don’t read this and assume we gave up. We haven’t and we never will. We still believe she will get better. The issue is trying to make sense of any of it. Trying to keep looking for some type of light. We will never give up, we will always believe in Gabby. Lately though it starting to look like Gabby doesn’t believe. I used to ask her nightly, you know you’re getting better right? She used to shake her head and say yes. The last two nights she just shrugged her shoulders. I’m not sure I can keep asking her that question. Because I’m terrified she will say no. The world can be a beautiful place; there are things everyday that make people happy. However today in this house tomorrow doesn’t look brighter, and the tunnel seems to be a cave. But we will wake up, we will hug and kiss her. We will put on that face and be strong for her. Praying and hoping that all those saying ring true. Gabby and the rest of you family are in my families prayers every day! As a parent of a 3 and 5 year old, I can’t even imagine. I do believe in god but in times like this how do you not question your faith? No child should have to go through this!! We will continue to pray for that light!! One thing I’ve learned through trey love and gabbys story is spend as much time with your kids….who cares about the dishies and laundry…….live each day as it is your last……be thankful they are there driving you crazy at times wheather they are trying to glue their popsicles together or sticking the cat in the fridge…..they are not in the hospital day in and out fighting for their life……..thank you for that!! My outlook on parenting and just time has changed all for the better! I think of gabby and trey daily……..we will continue to pray for them and the families……..be strong and when you getb weak you have all us to pick you and your family up……have another drink if ya need it…..get some rest! God bless! Please know that we are with you. Most of us cannot really understand your pain. Please know that your girls will always love and trust you no matter what happens. I pray for your family everyday and hope that Gabby can beat the “yuckies”, my nephew did beat them. Not the same exact ones but he had yuckies in his brain also. I can not imagine what all of you are going through! All I know is that when I read your post I cried and felt deep pain inside for you all. I will pray the same prayer every night for Gabby, you and your family because the Yuckies is not only with Gabby, the yuckies is with your whole entire family in a different form. Do not feel shame because you are angered, scared, or other people have it worse. You take care of you by allowing yourself to feel exactly what you feel. You have every right to. They say God does not give us what we can not handle but right now I am sure you question that as I would and have. I hope you understand that it’s not fair and it should not be and you have every right to feel these emotions. Gabby feelings right now are exactly what she is meant to feel. I don’t think I would want to do or say any of those things either and I am almost 40. She will make it thought this battle because of that and her ability to let her feelings out; positive or negative at times, she does not bottle them up which would be toxic to her recovery. As a parent of a 2 and a half little girl you have changed my life. To be a better parent, to love more, hug more, do much more. So to you my friend, I commend and respect u for the strength, courage, and ability to share your thoughts because that in itself is a challenge. I will be with you here every day and night to pray you all find some inner peace and for Gabby’s full recovery because it will happen!!! It will Happen!!!!! My family and I are residents of Phoenixville and we are prayerfully following Gabby’s fight. As a survivior myself i can understand asking “why”. I do not know if I could hold it together if it were my child though. On facebook I see your posts and how you try to brighten Gabby’s day everyday. That is all you can do. Keep being strong. Gabby needs you to be strong. We are all praying. Your feelings of “why me?” are not signs of weakness – while reading your posts over the past month, YOU are the strongest one I know; well, I really don’t “know” you, but yet I feel like I do. Your posts are so real, and I get so emotional every time I read a new one. 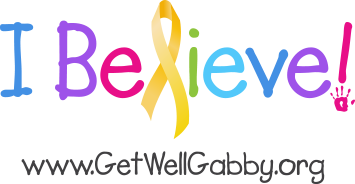 Do not feel guilty or bad about how you feel – it can only be normal, for all you are going through, but I just wish there was something I could do to help, to bring comfort to Gabby. I am the one that feels helpless. Keep taking good care of that little princess of yours; God will provide somehow, some way. Just keep believing in Gabby, and believing in HIM. God bless the family and that sweet little girl of yours. Even though I don’t know your family personally, I have been following Gabby’s story and commenting on her “Facebook page. Your entries are honest and genuine, so rare in this age of relentless, at-any-costs-optimism that our culture emphasizes. You have every right, as does your family, to be scared, angry, and whatever else. None of you have any choice in this, and you all are doing what you need to do and what you want to do to keep your Gabby alive, and to keep moving forward. All of you are in my thoughts daily, and will continue to be so. In October you will go to Disney. 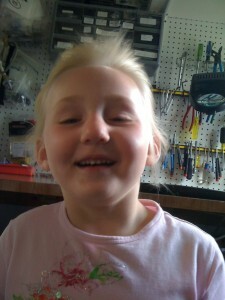 Gabby will be six, and she will no longer be sick. This I know to be true. Oh John, it pains my heart to think of the pain your family is enduring. You ask why her, I ask why them? Such a nice and loving family…A beautiful family. I continue to pray everyday, everytime I look at her little “Get well Gabby” bracelet. I am out of town a lot but if you need help with anything at all, give my a call, I would be more than happy to help. I believe Gabby will pull through this and your family will be well again. There IS always light at the end of the tunnel, the trouble is you can’t always see it when you deep in the tunnel. You my friend are deep in the tunnel at this point. God bless your family and God heal Gabby, PLEASE!! I am praying for you, Gabby. Simply holding you up in prayer. HUGE HUG. We do not know each other, but we have a mutual friend. I heard about Gabby and what you are going through and I have been following your family’s journey since hearing the news. I have small children myself- a 5 year old girl and a 2 year old boy. I have refrained from commenting on any of your past posts- although I have read them all and cried with each one- because we do not know each other. But I felt compelled to write to you today. Something you wrote below about your hopes to vacation in August and “running” from all you have been through this summer. You should run from it and grab that piece of time. You deserve it. It is a lesson for all of us to grab that moment in time even when everyone is well. I pray for Gabby and for you and your wife and daughters every day. I know in the deepest recesses of my soul that I could never show the courage, the eloquence and the selflessness that your family has shown. Just keeping all of us out here up to date on how Gabby’s day is going is a connection that I know a lot of us are grateful for and we are happy when we read that she enjoyed the sprinkler or telling her sisters where your battleships are in Stratego. So, thank you, for showing many of us who have let the so-called “stresses” of life, work, feeling pushed to the limit over things that truly mean nothing in the grand scheme of life- how to be thankful, to (try to) be patient, and to remember that there is nothing in this life more important than your family. I pray that you get your miracle. How’s it going Gabster?? Are you up to it princess?? I know you are!!! You’r Mommy and Daddy and your sisters are pulling for you in the most significant way. So are a lot of folks you don’t know or remember. We are looking for that sweet little bundle of energy to return to us and show us what life is really all about. You my little angle have been given the task of teaching many people what life is really all about. Feel better precious!! Soon you will be romping around on your vacation. I’m keeping your little Gabby in my prayers too John. My daughter died a week and a half ago… there have been so many people that try to give encouraging words like “God just needed another angel” or “at least she no longer has any pain”…. although well-meaning, I want to scream when I hear these remarks because they bring no healing to the way I feel right now. The ache of watching your child hurt or the emptiness of losing them is something that words or even time cannot heal. People who think we are strong must not realize we have no choice but to carry on, we can’t just give up when our other children need us. I know what it feels like to have so many people wanting to say the right thing, but in reality there is nothing that will right the pain you feel for sweet Gabby. I hope you will find the strength to keep facing each new tomorrow and the courage to give it your all. Thinking of you and your precious family and keeping you in my prayers. We still believe in miracles. So good to see you out at the Phillies game last night. Enjoy the rest of you’r summer one moment at a time. That is really all each one of us have. Love, hugs and kisses!! We are here not only for Gabby, but to support your entire family, to whatever extent that is possible. So go ahead–vent, yell, scream, be pissed off at God, be angry at the disease, ask why it had to be your family…why it had to be Gabby. Anything you feel is valid, and you don’t have to prop us up by trying to be happy and hopeful when you’re feeling hopeless. You may have to put on your suit of armor for Gabby and the girls, but never here. Give it all to us. We can take it. And in the meantime, know that we all share in your moments of despair, and in your times of hope and belief. Gabby can and will be well, and we will be here to listen and support you throughout whatever lies ahead.